Today, there are high-security locking systems to meet all needs and suit all applications. And when it comes to Thornhill high security locks services, you won’t find a more experienced and dedicated company than ours. We send you locksmiths certified to install, fix, and replace any large brand while the turnaround time is fast. With the right equipment in their service vans, the pros are in the position to utilize the best tools available to meet the standards of all branded high security locks and exceed your expectations. If you have decided it’s time for a new high security lock installation, don’t hesitate to call us. Security is ensured when you make the right lock choice but also locksmith choice. Let us assure you that we dispatch locksmiths with the expertise and skills to install the latest locks made by all major manufacturers. Whether you are inclined to install a Medeco high security deadbolt or a Mul-T-Lock system, contact us. Would you prefer an ASSA ABLOY master key system to simplify key management in the office? Do you like to replace the locks of the file cabinets at your firm or install a digital deadbolt at your front door at home? From electric locks to multi locking systems, the pros install them all with the utmost accuracy. Just reach out to Thornhill Locksmith for the service you want. In need of high security lock rekey? We are at your service. Call us with your troubles 24/7 and expect the quick response of a local locksmith. We understand that losing the house key or fearing about the security of your business won’t let you rest till the problem is settled. Don’t worry. 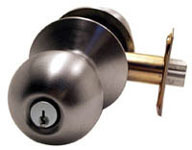 With us, troubles with locks and keys are addressed very fast. From rekeying services to lock change, the pros come out quickly to do the job required. With experience in all high-security locks, we can help with any service and concern. Although there are variations between locks, they are made and tested to resist bumping, drilling, and other methods intruders employ to break in. In order to get the best out of new locks or be sure a repair service is done with precision, turn to us. Whether you like to fix, replace, or install high security locks in Thornhill, the service will be impeccable. Call today.